Kevin Swanson is the Michigan DNR’s new large-carnivore will be based in the Upper Peninsula. Photo: Michigan DNR. Grand Rapids, Mich. – Kevin Swanson believes his biggest challenge as Michigan’s new large-carnivore specialist is likely to be the debate about wolves, but black bears and cougars aren’t far behind. The Ishpeming native recently began his new duties at the Michigan DNR’s Marquette field office. “The wolf debate is the biggest challenge. I’ll be representing our biologist’s views, assessing all sides of the debate, and bringing those recommendations to the Natural Resources Commission,” said Swanson, who was named Michigan Department of Natural Resources Wildlife Biologist of the Year in 2012. His former post was habitat biologist for the 380,000 acre Shingleton state forest unit. Swanson, who grew up hunting, and still lives in Ishpeming with his wife and three children, was selected for the post from a field of candidates from around the country. 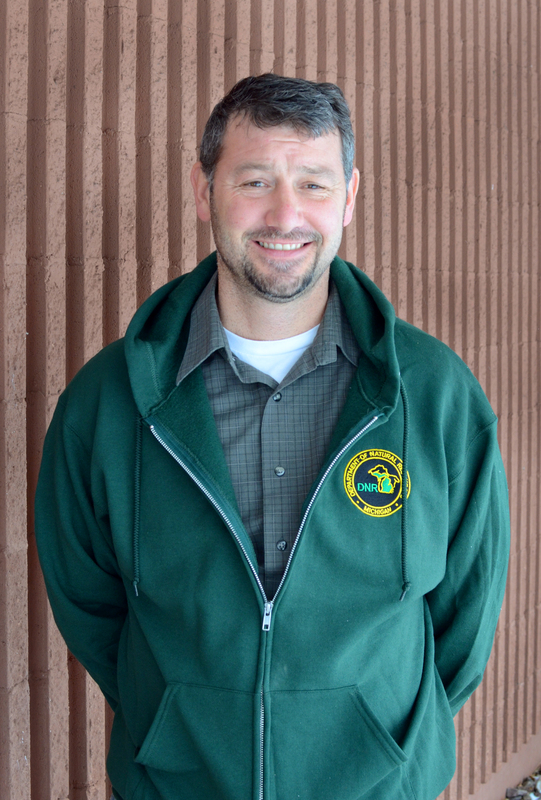 He earned a bachelor’s degree in biology from Northern Michigan University, and master’s degree in forestry from Michigan Technological University. People who know him say he is a likeable guy. The large carnivore specialist historically has worked out of Lansing, according to Albright. The post was moved to the U.P. in response to comments from hunters who thought it should be geographically closer to the animals being managed. Swanson said the new job is going to be a big change. He called it a “people-person job,” and that intrigued him. Getting a handle on bear population estimates is one challenge Swanson anticipates. Bear hunters contend that DNR population estimates are too high. Swanson estimates that Michigan has between 1,500 and 2,400 bears in the northern Lower Peninsula, and from 8,000 to 10,000 bears in the U.P. “The bear hunting organizations, especially the houndsmen, believe they are far lower than we are saying based on their years of experience in the woods,” Swanson said. “They don’t see bears as frequently (as they did) in areas that they hunt. This entry was posted in Uncategorized and tagged Bears, Conservation, Cougar, DNR, Hunting, Kevin Swanson, Michigan Department of Natural Resources, Wildlife, Wolf. Bookmark the permalink.